Sophisticated and elegant, the Carolmore Accent Cabinet is ready to grace your home. This conventional cabinet is up for interpretation -- it can add character and style to whatever room you place it in, whether that be the entryway, living area, or dining room. 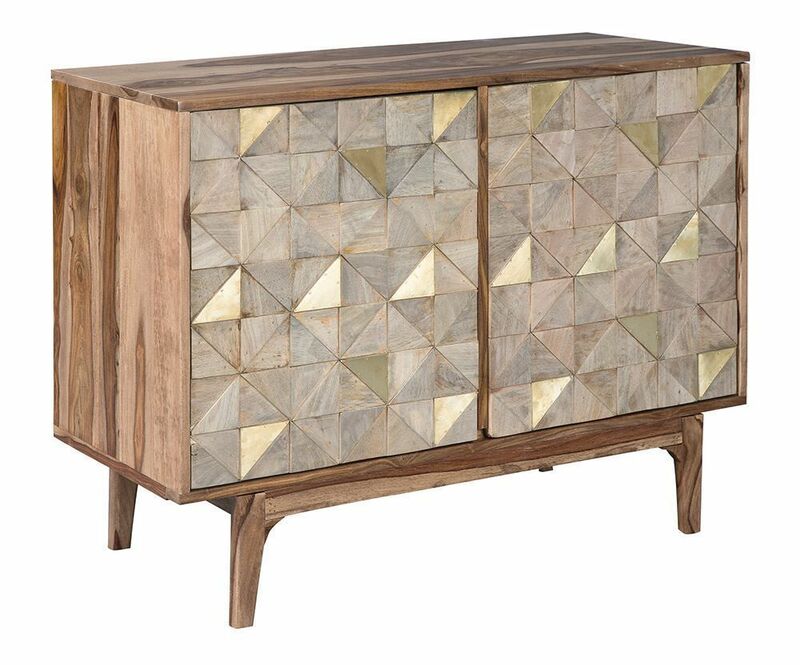 An eccentric geometric pattern across the front gives this cabinet the feel of art that belongs in a museum. 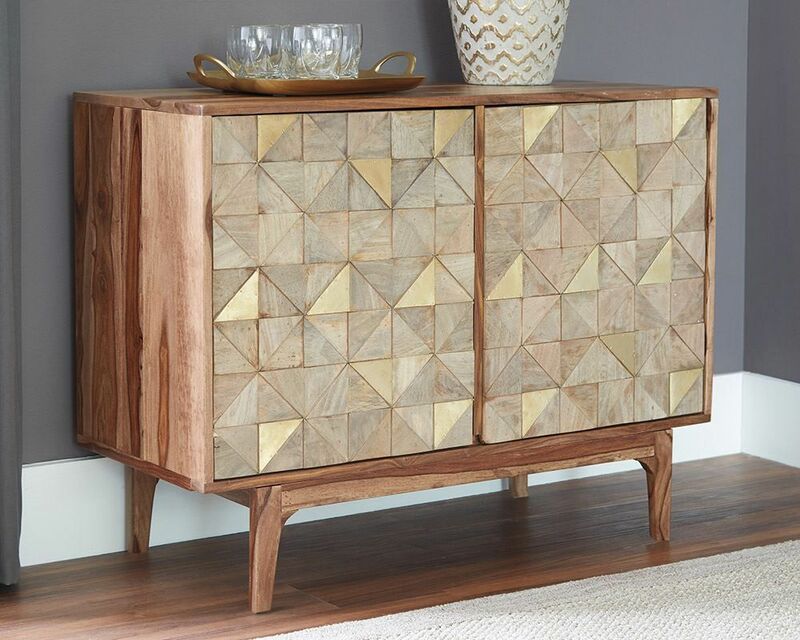 Earthy wood grain and simple touches of brass-tone sheen make this cabinet the perfect addition to any space in your home. Sophisticated and elegant, the Carolmore Accent Cabinet is ready to grace your home.